Did Voter Suppression Laws Tip Scales for Trump? Donald J. Trump has left much of America and the World in shock as he swept to an unprecedented victory in the US election. The 70-year-old billionaire defeated his bitter rival Hillary Clinton after an ugly campaign that was dogged at every turn by racism, bigotry and scandal. 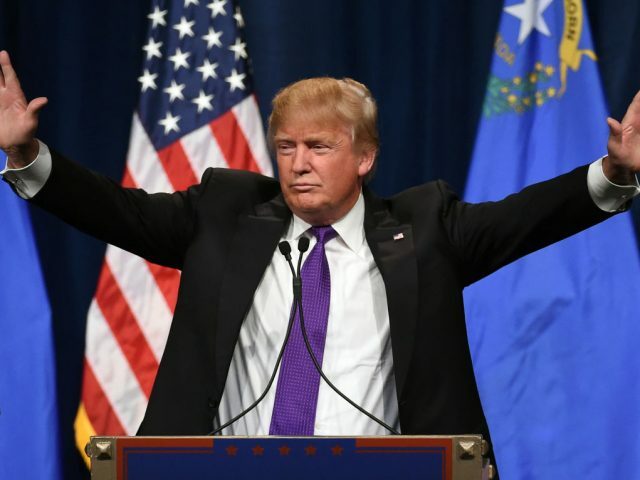 Despite optimism in the Clinton camp that Clinton had she would pull out Florida and, possibly even Texas where tacit support seemed to be coming her way from the influential family of Presidents named Bush, Trump captured both states and their joint 29 and 38 electoral college votes early in a sign of things to come. Still, the contest remained close and the drama continued throughout the night. Critically, he went on to take Iowa (where he never even bothered to stay during primary season) from Clinton with a huge 10.1% margin. On the eve of the election, Nate Silver’s statistical website, fivethirtyeight.com, which had proven to be an impressive predictor of outcomes, gave Clinton a 68.5% chance of winning the election over Trump’s 31.5%. Reuters went further, putting Clinton’s odds at 90% ahead of the vote. 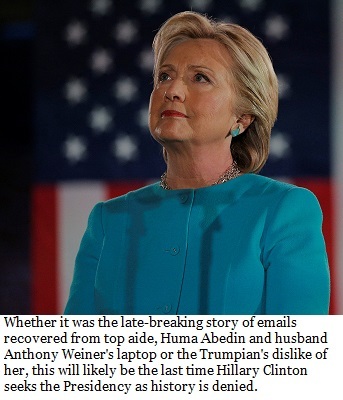 Whether it was due to the tax-hikes, her promise of appointing liberal judges or the email scandal, revived by revelations of hundreds of thousands of emails having been recovered by the FBI off of campaign Vice-Chair, Huma Abedin’s shared laptop, this will likely spell the end of Clinton’s political career. For more, see ‘How Clinton Lost a Sure Thing‘. But even as a Trump victory appeared inevitable, Clinton supporters remained hopeful she could win key states such as Michigan, New Hampshire and Wisconsin. Despite late wins in Nevada and Minnesota the Democratic candidate could not get to the 270 electoral college votes she needed for the presidency. Supporters were seen leaving the candidate’s headquarters in tears. Trump’s unprecedented success came after a bitter and divisive campaign, during which he verbally abused his rivals, insulted the family of a deceased war hero, demanded for Clinton to be jailed. He was accused of a string of sexual assaults and harassment. A recording from 2005 catching him in as the enthusiastic instigator of a misogynistic conversation with talk-show host Billy Bush on their way to a publicity event for an NBC infotainment show, and revealing his plans to engage in an adulterous tryst led prominent Republicans to disavow his candidacy. Trump dismissed the tape as “locker room talk” and hit back hard against his detractors from his own party. He called Senior Senator John McCain a disloyal opportunist and House Speaker, Paul Ryan “weak”. His words seemed prescient as Ryan called to congratulate Trump, today. Having no political experience and having never run for elected office before launching his bid for the presidency in June 2015, he could rightly claim to be a party outsider. That said, Trump had been cultivating politicians in both parties for decades – and his reality show, The Apprentice had made him a TV Star. Amidst claims he could run the country like a successful business, many questioned whether his businesses were actually successful. Eleven of his companies have filed for bankruptcy and many of his products have had much publicized quality issues. The disastrous night for Hillary Clinton was her secon – and likely her last – attempt at securing the presidency. Democrats who were bitterly divided about her candidacy as it emerged just before their national convention that Chair of the Democratic National Committee, Deborah Wasserman, whose role was to be an impartial adjudicator in nomination process, was favoring Clinton, were also denied majorities in the House of Representatives and The Senate. With Executive and Legislative branches of government both being Republican there seems little likelihood of gridlock in Washington as a right-wing legislative agenda is championed. The Judicial branch, too, with two Justices appointed during the tenure of President George W. Bush and one to be appointed by Trump will surely to the right. Like Al Gore’s campaign in 2000, which lost votes to Ralph Nader’s Green Party bid in swing states, Clinton’s campaign trajectory was contnied by third party votes, including those for Libertarian Gary Johnson and Green Party candidate Jill Stein. The quarter of a million votes that wen to these candidates in Florida more totaled what she needed to beat Trump in that states, which would have given her twenty-nine electoral college votes. Clinton would also would have would likely have won Pennsylvania, a key battleground state, if the election was merely a two-party contest. The result has exposed to the World, the extent to which the fabric of America has been shorn by deep divisions – the rift between wealthy elites, which Clinton is believed to represent by many, and the white working poor that suffered so acutely during and after the financial crisis. Being the establishment candidate and the candidate of big political money, the Clinton was seen by many to represent the elites more so than Billionaire Trump. Trump also tapped into the narrow protectionist and fear-mongering constituency cultivated by radical Conservative commentator Anne Coulter. His anti-immigration message resonated with rural poor, threatened by outsiders – interestingly, a similar constituency to that cultivated by Nigel Farrage in the UK Brexit Vote. Trump will look to fill the Supreme Court vacancy left by the death of Justice Antonin Scalia, which alarms liberals. He is sure to cement a conservative majority in the high court for decades to come, allowing Republicans to push back on gay marriage, women’s reproductive rights and the Affordable Care Act. The world financial markets reacted early on Wednesday as Trump’s victory began to look likely, with gold prices spiking and Asian markets opening lower. The dollar fell as much as 3.5% against the yen, the worst one-day decline since Brexit. Markets since then have rallied some. Trump has said he would be a more moderate version of himself if elected President. While traditional advice to Presidents Elect is to be mindful that one has been elected the leader of all of the nation – not just the constituency from which votes were cast, it remains to be seen if Trump will restrain his instinct to divide. He has won the election; the world waits to see if he can heal the rifts between and within parties – and ultimately govern to the benefit of he people.